India may well be losing an opportunity to change the rules at the International Monetary Fund (IMF) and break the stranglehold of the Europeans, by its unwillingness to support an existing candidate from the emerging economies or naming a new one for the top job. The outing of the over-age deputy chairman of the Planning Commission, Montek Singh Ahluwalia - he is 68 years old, while the IMF chief's age limit is 65 years - is said to have thrown the Indian establishment in nervous disorder, as over the last week speculation over his name as a Third World candidate for the IMF post had been rife. But in a clear manifestation of the power play underway since Dominique Strauss-Kahn had to resign as IMF chief last week over allegations of sexually assaulting a hotel maid, China betrayed the unusual unity being forged on this issue by the BRICS - Brazil, Russia, India, China and South Africa - countries by supporting French finance minister Christine Lagarde in her candidature for the top IMF job. 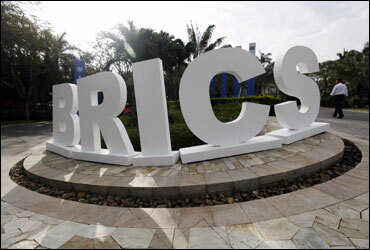 Image: A man walks past a signage decoration for the BRICS summit. The Chinese betrayal was revealed by none other than French Budget minister Francois Baroin, who in Paris stated that Beijing had confirmed it was backing Lagarde's candidacy. The Chinese foreign ministry spokesperson refused to comment, even as in Washington all the BRICS' executive directors issued an unusual statement challenging the "obsolete unwritten convention" that the head of the IMF must be European. "We are concerned with the public statements made recently by high-level European officials to the effect that the position of managing director should continue to be occupied by a European," the joint statement said, adding, "The convention that the selection of the managing director is made, in practice, on the basis of nationality undermines the legitimacy of the Fund." 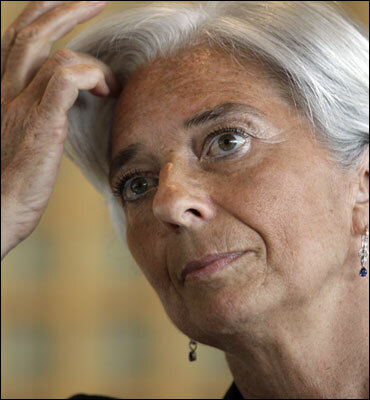 Image: France's Finance Minister Christine Lagarde announces her candidacy to head the IMF. Highly placed sources in the IMF told Business Standard they were "not surprised at all" at reports of the Chinese backing the French finance minister for the top job, hinting several quid pro quos were at hand, but mainly between the French and the Chinese. According to the IMF sources, the 27-member European Union bloc had asked the Chinese for support for Lagarde, in exchange for a Chinese candidate who could succeed John Lipsky, first deputy managing director of the IMF, who is currently acting as chief. Lipsky, a US national, is to retire at the end of August, and he has already announced he is not going to ask for an extension. Letting a Chinese take Lipsky's place, the IMF sources said, "Would make everyone happy all around." The Chinese would help the French retain control of the IMF, thereby extending the power of the 'gentlemen's agreement', which in the wake of the Second World War, gave the top job of the IMF to the Europeans and the top job at the World Bank to the Americans. 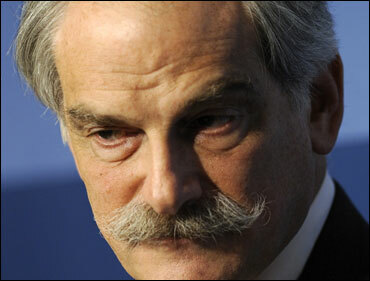 Image: International Monetary Fund acting managing director John Lipsky. Two Chinese names have been rumoured for Lipsky's job. 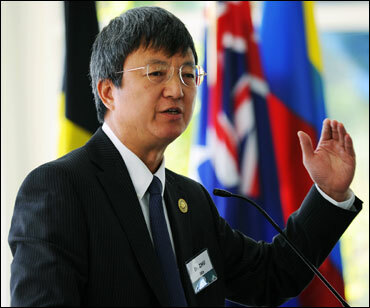 They are Zhu Min, a special adviser to Strauss-Kahn and Zhou Xiaochuan, China's current central bank governor. Zhu's name has also been floated by the Chinese state-run newspaper, China Daily, already a powerful endorsement. The Europeans collectively hold 32 per cent of the vote, and they have announced they will vote en bloc. The US, a major ally of the Europeans, holds 16.6 per cent of voting shares, while China holds 6.19 per cent of the voting share. Together, they are expected to sweep the voting stakes. Even as the US retains control over the World Bank and supports Lagarde at the IMF, the IMF sources added, she would also commit to keep deputy managing director Nemat Shafik, a key deputy to Strauss-Kahn and a known voice on international aid and development. Shafik has the additional credentials of being a triple citizen of the US, the UK and Egypt. Image: Min Zhu, special advisor to the managing director of the International Monetary Fund. Meanwhile, economists in Delhi were ruing India's inability to anticipate the power struggle that began with Strauss-Kahn's arrest, or with Delhi's unwillingness to play hardball and put up a strong Third World candidate, "knowing full well that with the Chinese playing the game on both sides, such a candidate from the emerging economies will likely lose". 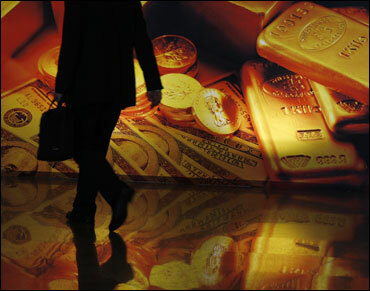 The economists pointed out that India, amongst the world's largest economies since 2006, may not have been able to change the rules, but at least it would have exposed the manner in which the industrialised world has held sway for the last several decades, especially at the major financial institutions. 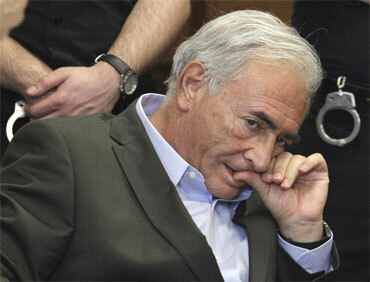 Image: Former IMF chief Dominique Strauss-Kahn inside a New York court. More, with the IMF putting together bailouts for Portugal, Greece and Italy, the Indian economists asked whether a French finance minister would be the right person for the job. With India unwilling to change the status quo, and China, the world's second most powerful economy, helping maintain the status quo, the economists felt that Mexico's candidate, central bank chief Agostin Carstens, didn't stand much of a chance. Mexico's finance minister, Ernesto Cordero, is already pushing the candidature of Carstens, but it is unclear whether Mexico is reaching out to fellow Third World countries like India, or indeed the BRICS, for support. By all accounts, the ministries of finance and external affairs were not talking to each other over this important matter. Image: A participant walks past a poster at the Asian Financial Forum in Hong Kong.